Janie Rudolph was told her father died of a heart attack nearly 30 years ago. Last week she reunited with him - alive. It is a bizarre story that surprised the entire Rudolph family, and a tragic reminder of what can happen when people lose communication with loved ones. Janie and a large group of her relatives traveled from Georgia and Kentucky to Lebanon where her father, Ronnie Rudolph, had been living with a close friend. 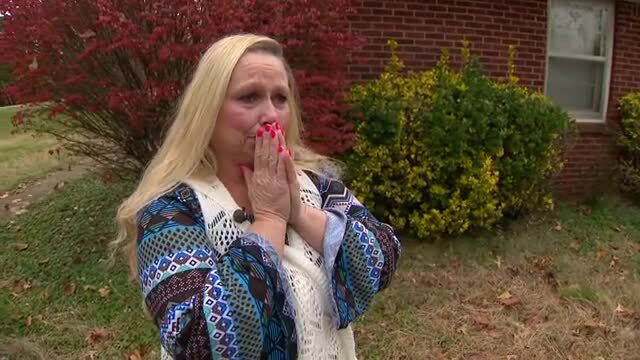 Before they saw him again, Janie sat down with NewsChannel 5 to explain what happened. Ronnie moved to Illinois and then to Tennessee after he separated from his wife, Janie's mother, many years ago. Members of the Rudolph family including Janie moved around, and admitted they lost touch with one another. Ronnie's sister, Juanita Elliott, last saw her younger brother in Paducah, Kentucky in 1992 for their father's funeral. "I was all settled and with married life and kids, we kind of just drifted apart," Elliott said. "I lost the number to his work for one thing and I lost contact with him." Janie knew her father moved to Lebanon and was working at a concrete plant. Although it was not on a regular basis, she would call his workplace to speak to him. She said there were never any family issues. However, one phone call would change everything. "They just told me that he had a heart attack and he had problems and that he was deceased," Janie said. "I believed it and I didn't investigate it. I moved around, I was married and I had my family and I didn't have money so I just felt like I couldn't do anything much." Janie told her relatives and siblings that he had died even though no one looked further into it. For 26 years they thought he was no longer alive until Janie did some digging after her mother died four months ago. "I started looking for a death certificate and I could not find one on my father, so we were thinking he might be alive somewhere," Janie recalled. So through contacting other family members and the business he had worked for, Janie and her daughter connected the dots and learned Ronnie was in fact alive and still in Lebanon. "I was very much in shock, I couldn't believe it, I thought I was having a dream," Janie said. "I was happy and glad to hear it and here I am 84-years-old and he's just 72, if anybody is supposed to be dead it ought to be me," Elliott chuckled. After contacting him for the first time nearly two weeks ago, Janie arranged a family reunion at his house. Ronnie had two strokes and cannot clearly talk but she said he was shocked, and expressed feelings that nobody wanted him anymore. On Black Friday, some of Ronnie's children, grandkids and even great grandchildren finally met. Janie was nervous and excited at the same time on the way to the house. She had her hands around her mouth as she approached the house in anticipation. Even before she laid eyes on him, she was in tears. Ronnie came out of the back door with his sister greeting him first. A few words were exchanged initially but it was the strong-pressed hugs that indicated relief and overwhelming joy within. For Janie, she never left her father's side while NewsChannel 5 was there to capture the tender moment. She held his hands and continually said, "I love you." It only took moments for Ronnie to brighten up and chuckle throughout as his relatives showed a photo album with photos of him as a child. 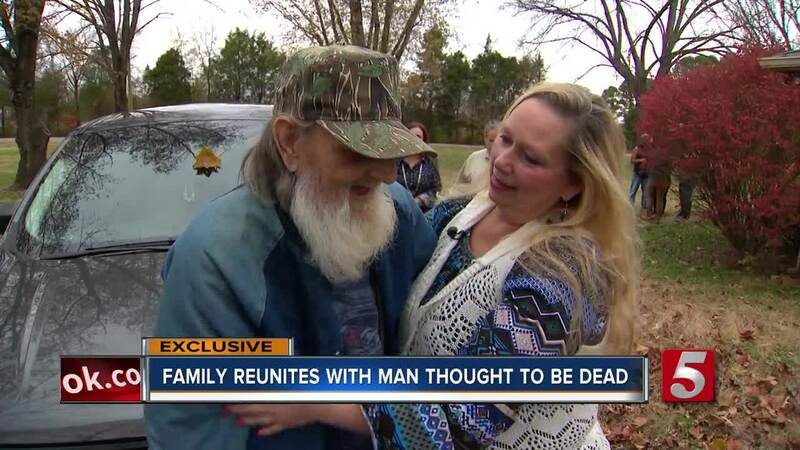 While it is unclear why they were told he died in the first place, the family could not be more pleased to piece things back together despite the nearly 30 year gap. "It is a good feeling to have all the family together again," Elliott expressed. Ronnie has four grandchildren and nine great grandchildren.